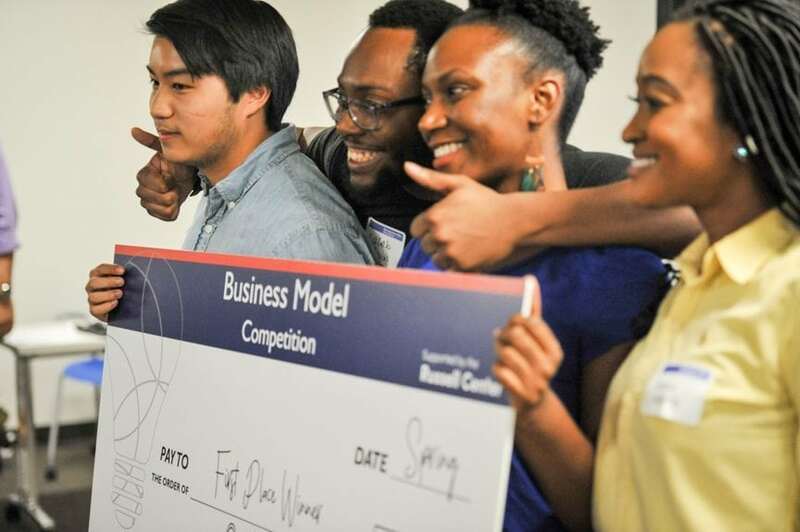 The H. J. Russell Business Model Competition gives student entrepreneurs experience preparing and pitching their ideas while receiving feedback and a chance to win cash prizes. An evening was packed with pitches from our ENI 3101 student entrepreneurs! Five teams competed for the grand prize of $1,500 to support their proposed startups in the H.J. Russell Center for Entrepreneurship Business Model Competition. 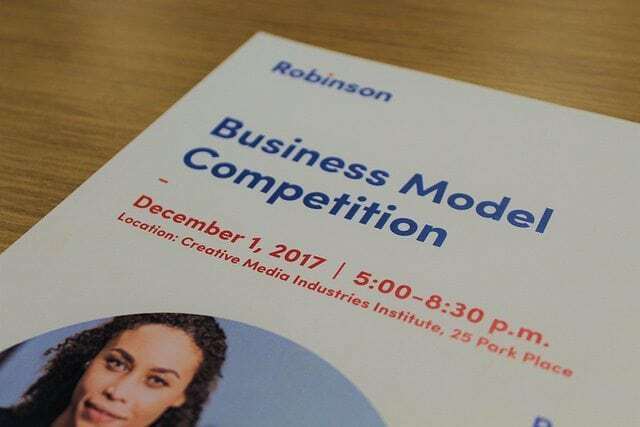 On December 1st, the Entrepreneurship and Innovation Institute (ENI) hosted its third semiannual Business Model Competition at the newly-opened Creative Media Industries Institute (CMII). 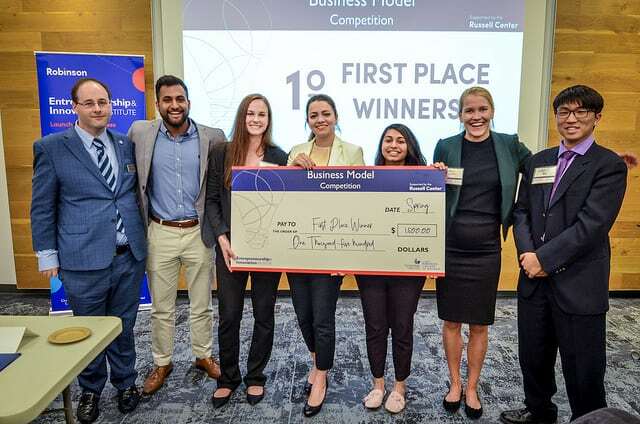 Students from ENI 3101 ended the semester on a high note, as they competed in teams against their peers at the biannual Business Model Competition on April 21. 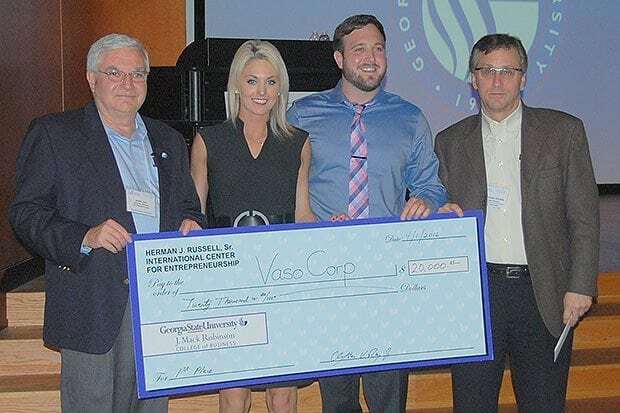 VasoCorp, a company offering a patent-pending supplement for diabetic neuropathy, won the 2016 business plan competition held by the Herman J. Russell, Sr. International Center for Entrepreneurship. 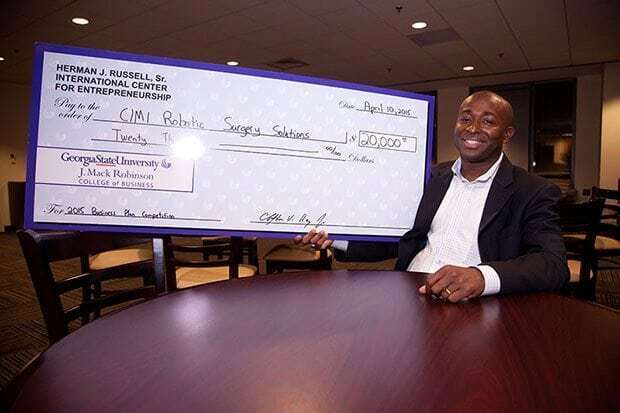 One of Robinson’s Executive Doctorate in Business students has won $20,000 at the college’s Business Plan Competition to further his business in medical technology innovations. 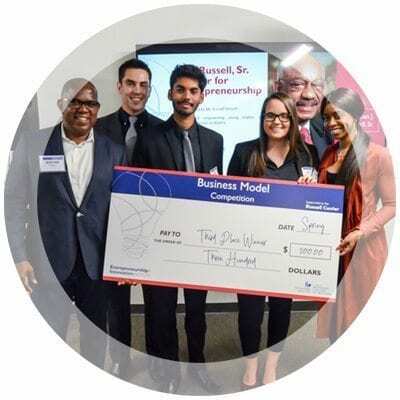 The Herman J. Russell, Sr. Center for Entrepreneurship has issued a call for entries for its 2014-2015 business plan competition. The competition is open to graduate and undergraduate students currently enrolled at Georgia State University.